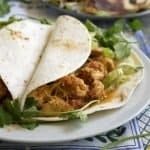 Can you believe these chicken tacos only have three ingredients! I was super lazy today (it is my day off), and I really didn’t feel like cooking. I threw some chicken, enchilada sauce, and salsa in a large skillet. Then brought the mixture to a boil, and reduced it to a simmer for 10 minute. That’s right! TEN MINUTES! Super fast! This makes the perfect “I don’t want to cook today” dinner! And yes… That is a quesadilla in the corner. I have a serious quesadilla problem. 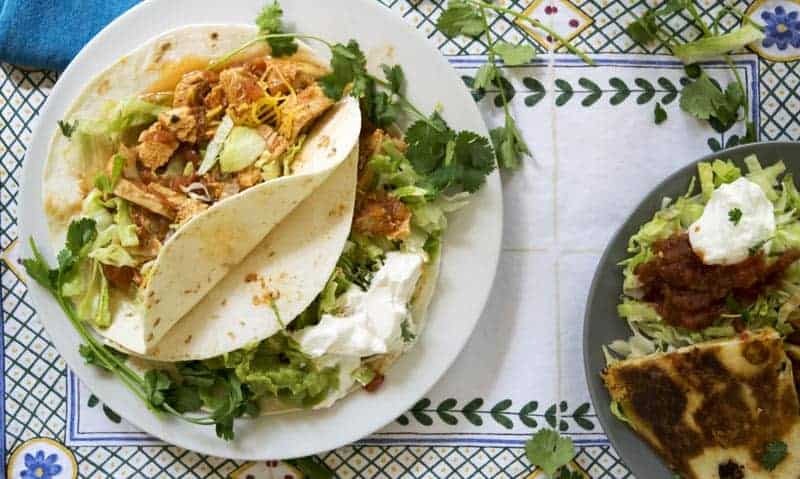 This super fast chicken taco dinner is great for those night you don’t feel like cooking! In a large skillet with a lid, place the chicken in an even layer. Pour the enchilada sauce and salsa over the chicken. Bring mixture to a boil, and then reduce the heat to low and cover with the lid. Check the chicken after ten minutes to see if it is cooked through. If you have thick chicken breast it could take a 3-5 more minutes. Be careful not to over cook the chicken (it will get tough). Once cooked through remove the chicken and shred (or chop) it. Then add back into the sauce to keep moist. You could use green enchilada sauce and salsa verde for a green chile chicken filling. 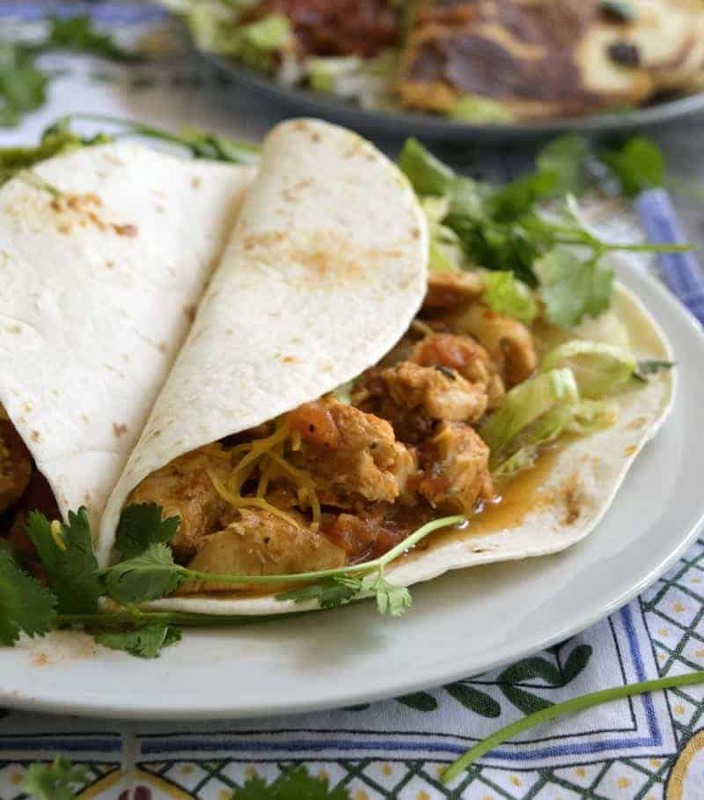 Use this chicken for tacos, enchiladas, quesadillas, chimichangas…the options are endless!